Spyware is a type of program which secretly installs itself into your computer and collects your personal data such as your internet activities, keystrokes or keylogging, passwords, and other valuable data. Spyware can also affect your computer by disrupting your internet settings like changing your homepage & search settings, interfering with your connection speed by installing additional programs. Here is a list of best free Anti Spyware software. These provide protection to your computer from various types of Spyware, Malware, Worms, Trojans etc. All these Anti Spyware software are completely free and can be downloaded to Windows PC. In my opinion, IObit Malware Fighter and AVG AntiVirus Free are the best free Anti Spyware software in this list, as these have lot of features. For e.g. IObit Malware Fighter has DNS protection while AVG AntiVirus Free blocks the malicious processes and alerts you. You can also try these best free Anti Virus Software, Rootkit Remover Software, and Internet Security Software. IObit Malware Fighter is Malware & Spyware Removal software from IObit.com. It has three scan settings: Smart Scan, Full Scan, and Custom Scan. It has Browser Protect and Security Guard modules also. Browser Protect has features like Homepage protection, DNS protection, Surfing protection, and Plugin/Toolbar cleaner. Security Guard has options like Network guard, File guard, Startup guard, Cookie guard, Browser guard, and Security reinforce in the free version. It also shows the real time protection history. 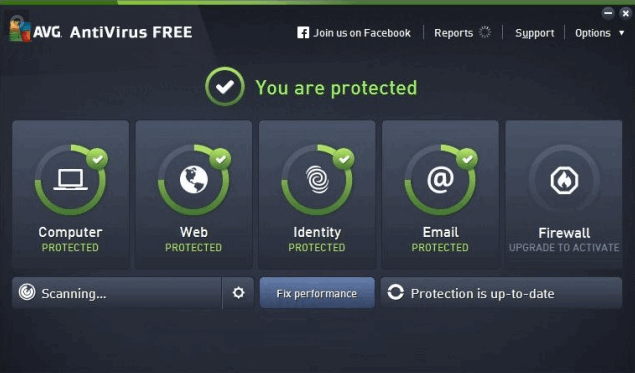 AVG AntiVirus Free is one of the best antivirus software. It can block viruses, spyware, & other malware on your PC. After installation, it asks you to update its signature database. You can do a manual scanning or schedule a scan for any chosen time. It blocks and alerts you to take necessary action for the detected threat(s). It has Web Protection, Identity Protection, and Email Protection modules also. Windows Defender comes pre-installed on every Windows computer. It is your first line of defense against any spyware, malware, or any unwanted and suspicious program. Remember that if you have installed any third party antivirus or anti spyware then those programs can turn off Windows Defender automatically. You have to manually turn it on to use it. It provides real-time protection. You can schedule your computer for automatic scanning or you can set your automatic scanning only when your computer is idle. You can exclude files & folders which you don't want to scan. Windows Defender lets you modify the default action whenever a threat is found. Spybot Free is an award winning anti-spyware and anti-malware tool. After installation, it lets you scan your system, files & folders etc. But, first you have to update its antispyware signatures, otherwise it will not start scanning. After the update it can detect almost any malicious program or activity. It also provides quarantine, rootkit scan & immunization facility. It has a powerful startup tool, where you can see exactly how many programs & processes are running at the time of system startup. Ad-Aware is well known antivirus & spyware removal tool from Lava Soft. It provides various security methods to secure your PC from various threats including spyware. At the time of installation it asks you to install necessary components like Ad-Aware Web Companion, SecureSearch etc. By installing Ad-Aware Web Companion, it can block dangerous websites. It will update its virus & spyware definitions during the time of installation or you can update the definition later. This free spyware removal software has a security feature, which lets you add a 4 digit security pin so that no one can change your settings. It provides lots of other features like Real-Time Protection, Web Protection, Email Protection, Network Protection, and App Management. 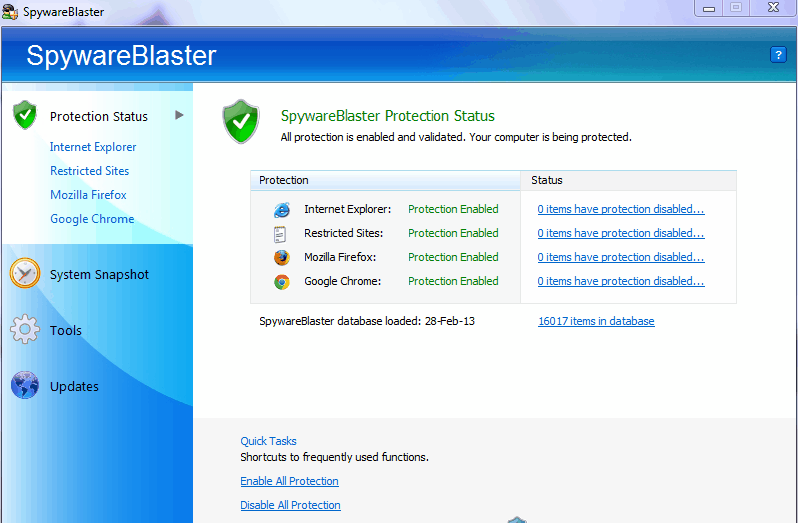 Spyware Blaster provides powerful protection against various types of threats including spyware. It also provides protection against adware, browser hijackers, dialers, malware, and other potentially unwanted software. It does so by ActiveX protection, cookie protection, restricted sites protection and script protection. It also has a system snapshot feature which creates backup images of your system so that the system can be restored from unwanted errors. You can add ActiveX controls to block list manually (custom blocking) to protect your PC. SuperAntiSpyware is the next anti spyware application in the list. It is one of the popular names among anti spyware tools. After the installation process, you need to scan your PC. You can scan your PC in four different ways: Complete Scan, Quick Scan, Critical Point Scan and Custom Scan. The output will be different depending upon the type of scan you have chosen. You can also choose which of the cookies you want to keep and which of these you want to delete. You can keep an eye on the system from unwanted & harmful services by enabling real-time protection. 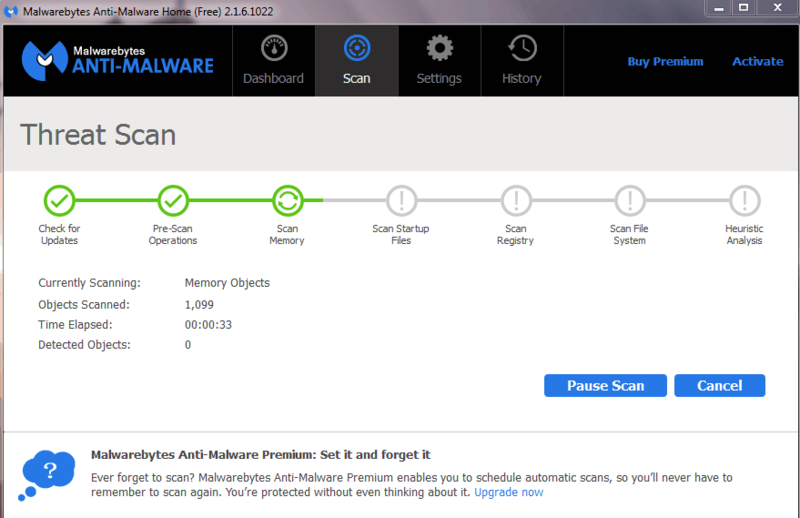 Malwarebytes Anti-Malware is a well-known anti-malware and anti-spyware program. It comes in free and premium version. It has some nice settings that help you stay protected against the attacks of malware & spyware. 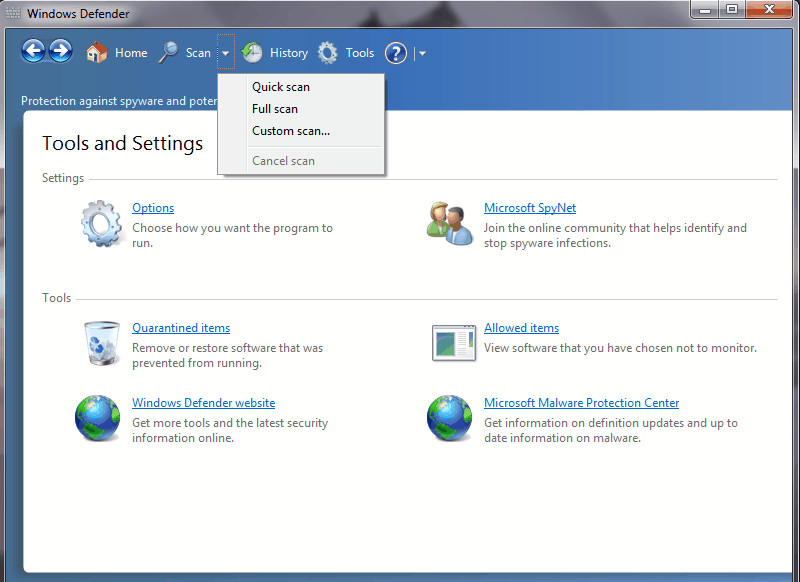 In its free version, it has Threat Scan and Custom Scan features only. It has Malware Exclusions and Web Exclusions feature also, which lets you add files and folders from detection as malware (false positive) and websites and process which should not be blocked by its website protection modules respectively. 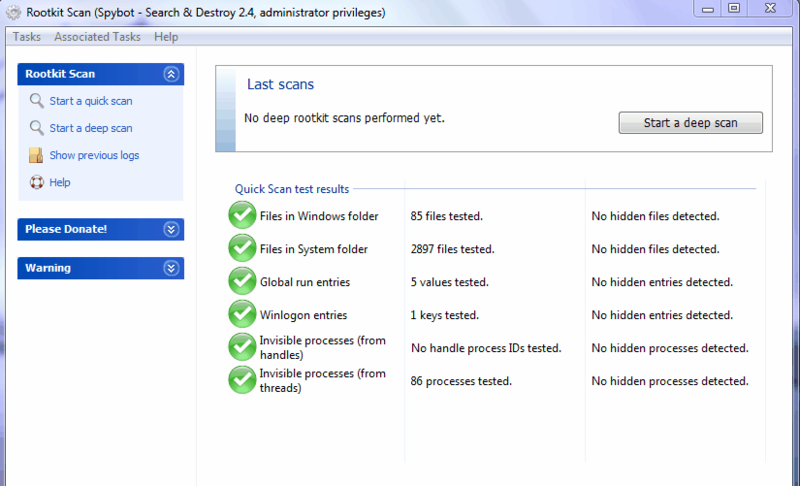 It has rootkit scanner, advanced Heuristics engine (Shuriken) and the ability to scan within archives. You can use automatic scheduling option also for complete system check-up. 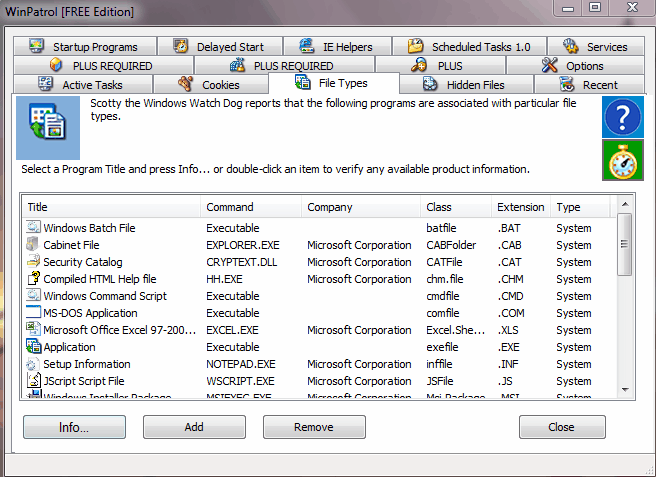 It notifies you about PUP (Potentially Unwanted Program) detection & PUM (Potentially Unwanted Modification) detection. Spyware Terminator provides comprehensive protection against spyware. It is available in both Free and Paid version. You can do a Fast Scan, Full Scan, or Custom Scan anytime. You can select only specific files & folders for scanning in custom scan mode. The application lets you schedule your scanning. It can display the results after each scan. In free version its Antivirus protection is not available while Real Time protection from spyware is available. Automatic updates and Automatic scan are also available in free mode. 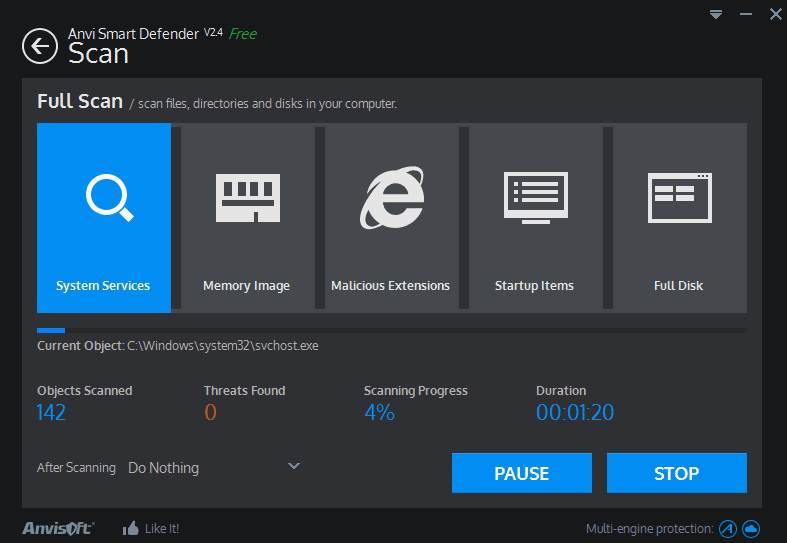 Anvi Smart Defender is a free Anti-malware/Anti-spyware utility from Anvisoft.com. It protects your computer from various types of Viruses, Spyware, Trojans, Rogueware, Ransomware, etc. It can scan your PC in three ways: quick, full & custom. It will scan the following areas or objects on your PC in full scan: system services, memory image, malicious extensions, startup items and the entire disk. In case of quick scan, it will scan all the above mentioned areas, except for the entire disk; it will scan certain critical locations in the disk. There is file system & network guard available but not all functions are available to the free user. 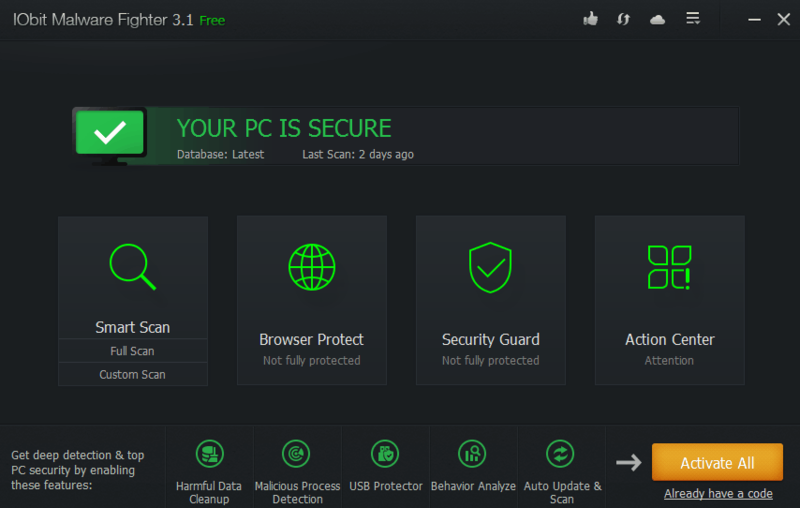 Runscanner is a free and easy to use portable utility which scans your PC thoroughly. It doesn't need installation. Just run the "runscanner.exe" file whenever you want to scan your computer for errors. It has two types of user levels: Beginner and Expert. It generates a big log file after finishing scanning. Before proceeding with the deletion part, you have to be very careful as the program will not tell you which of the files or processes are malicious or harmful. It is totally up to you to decide what to delete and what not to delete. It requires you to have some expert knowledge in Adware, Spyware, Viruses, Trojans, Rootkits etc. FreeFixer is a simple and easy to use lightweight application which can remove harmful & unwanted programs, like: Adware, Spyware, Trojans, Viruses and Worms. It scans your system especially for those locations (more than 40 locations) which are vulnerable to attacks. After scanning it can look up files in its online database which has more than 90,000 files and 4,000 user comments. You can upload files to check them by anti-virus scanners. 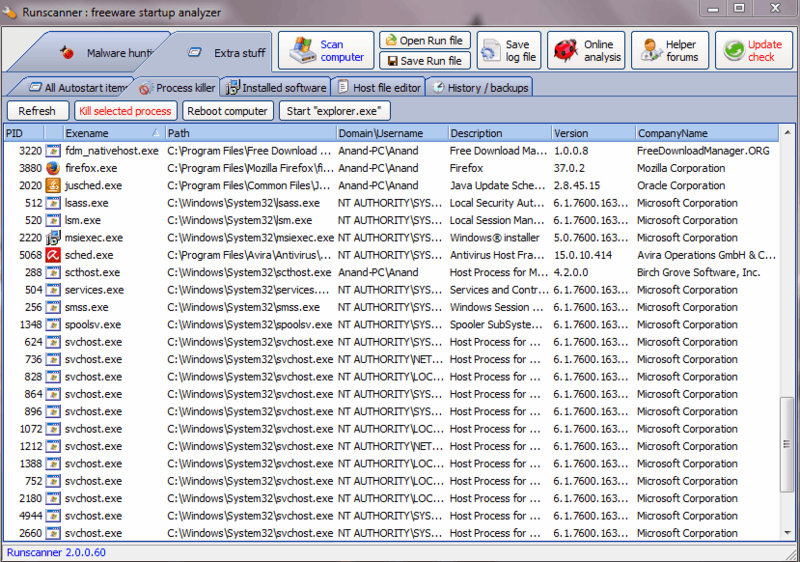 Winpatrol is another anti-spyware program in the list. It has various features in tabs, like: Startup Programs, Active Tasks, Services, IE Helpers, Delayed Start, Cookies, File Types, Hidden Files, Scheduled Tasks, and Recent information about program & processes. You can close any suspicious task by using it. It shows the details of each process and files by right clicking on them from the list. Some of its features can only be used in paid version. 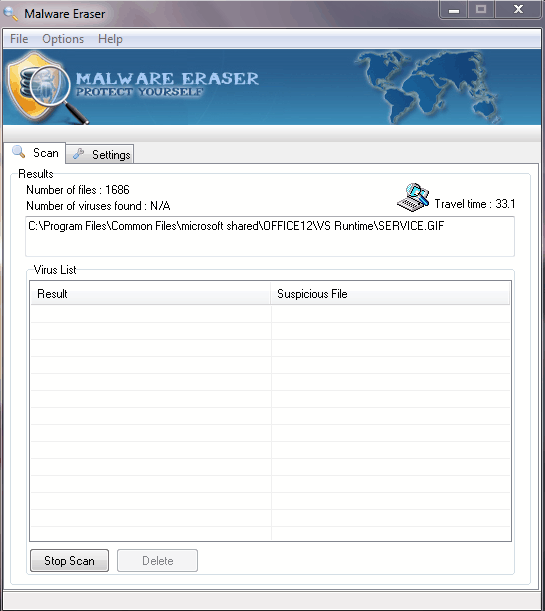 Malware Eraser is a simple and easy to use small utility which lets you detects and removes Spyware, Malware, Trojans, Worms and other Malicious Threats. You can use full scan or scan particular folders or drives. It can scan processes and also digitally signed .DAT files. It can detects and removes found threats. You can kill the found suspicious process from its interface. It also has the option to scan only files which are less than 10 MB. Avira Free Antivirus is a well-known antivirus software and is also an anti-spyware program. It can protect your privacy and blocks various types of malware including spyware. It has PC protection and Internet protection modules. In its system protection module you can enable/disable real time protection. In an Internet protection module it has firewall, web, and mail protection features. It has a scheduler option also and you can schedule its scanning process for a suitable time. Avast Free Antivirus is next free antivirus in the list which also protects you from spyware programs. Many spyware can hide themselves using specific techniques but it can detect these threats also. Strong security functions make it a good choice for users looking for free and better computer security. It also has a boot time scan feature. It is lightweight and has a straight forward user interface. Panda Free Antivirus is an easiest way to protect your computer from Viruses, Spyware, Rootkits, Hackers, Trojans, and Phishing etc. It provides your PC a real-time complete protection against known and unknown viruses. Its firewall block spyware threats. It has a huge virus definition database updating regularly so you don’t have to worry about new threats. Also it has a big user community where everyone contributes.